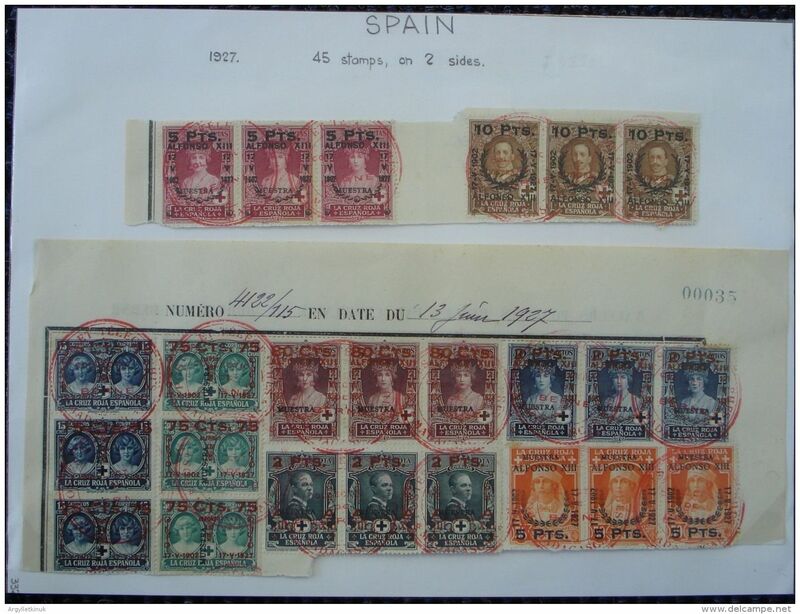 Set of 15 stamps 3c and 10 pesetas in strips of three commemorating the 25th anniversary of the coronation of King Alfonso XIII printed by Waterlow, of London, England. 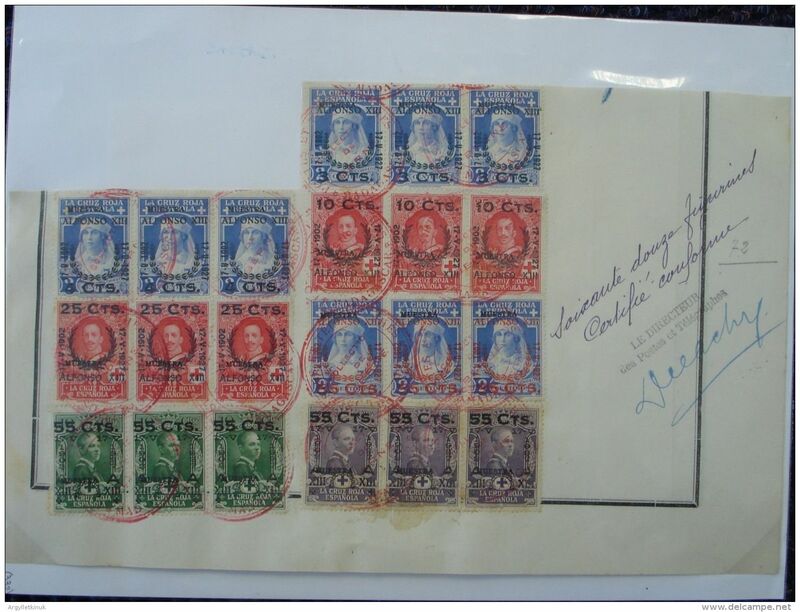 The stamps also overprinted \'Muestra\' (Specimen) and then forwarded via the UPU to the Madagascar Post Office. The stamps cancelled by large red double circle \'POSTES ET TELEGRAPHES MADAGASCAR COLLECTION DE BERNE\' handstamp, released from the archives of the Madagascar Post Office. A unique item.